Congratulations Australian workplaces! You are most discriminating against pregnant women. Last week the Fair Work Ombudsman revealed that pregnancy discrimination is now the number one complaint against Australian employers. 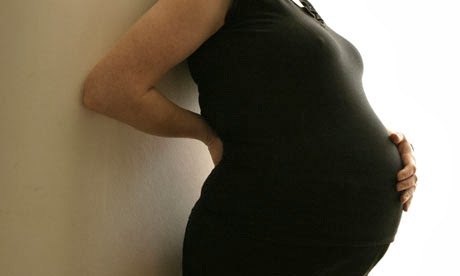 The Fair Work Ombudsman’s figures indicated that for the first time there are more complaints relating to pregnancy than mental or physical disability. Lucy Carter of The World Today reported “…of the 235 complaints to the ombudsman, 28 per cent were from pregnant women and 21 per cent were from people with a physical or mental disability. Around 11 per cent felt their family or carer responsibilities resulted in them being treated differently. Both pregnancy and family or carer’s responsibilities fall under the Fair Work Act 2009categories of discrimination. To someone at any time during their employment. Having limited or no opportunities for promotion, transfer or training. The reality of the work place is these examples cited by the Fair Work Ombudsman do occur and are increasingly occurring or being reported. However there are other more subtle forms of behaviour changes women experience at work when they declare their pregnancy. These are just as real to the women involved but very difficult to prove or disprove. Often they are based on the values or beliefs of managers or cultures in companies. Yes these are subtle but still real for many women in Australian workplaces today. They may not fall under the definition of ‘adverse actions’ but they make up the experience of many employees who are pregnant, on maternity leave or who have family commitments. It is beyond time for Australian companies to address both obvious and subtle discriminatory behaviours and attitudes, which equate to “…a deep-seated bias against women with children in the workforce.” Ged Kearney, ACTU President.